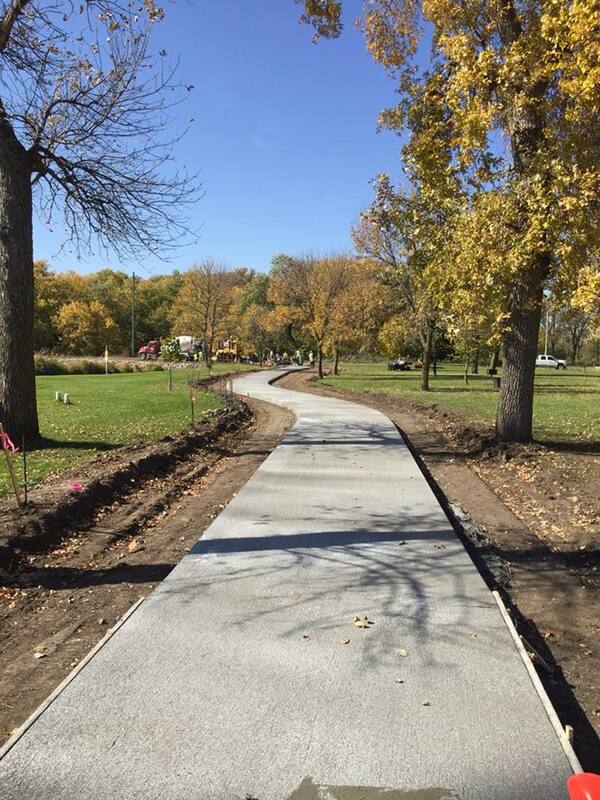 F&M Bank Loop has been paved in Neligh Park! In an effort to rediscover the untapped beauty of Wilderness Park and connect the city to this gift of nature, the West Point Trails Committee is developing a plan to make it more accessible. 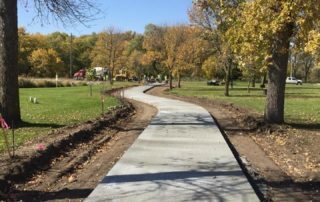 This plan will also create a safe trail that reaches Neligh Park, making the entire city a friendlier place to walk, run, and bike. How will the construction of the project affect Wilderness Park? 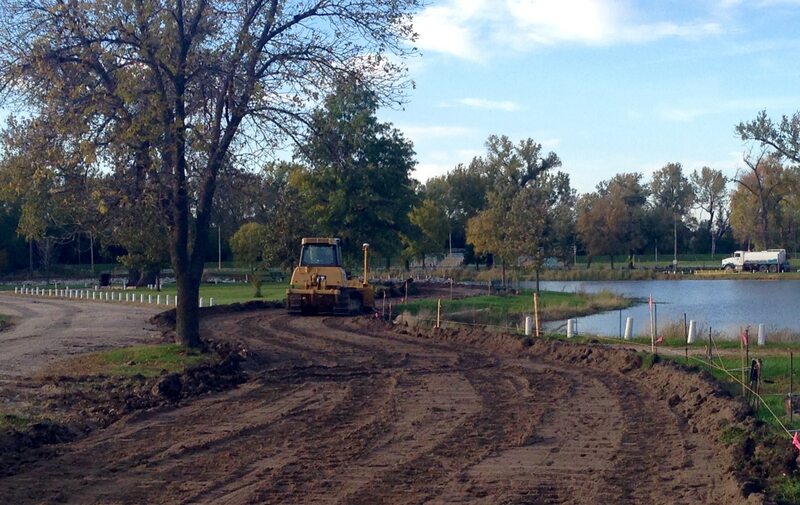 The overall project will not change Wilderness Park – it will only make it more beautiful and accessible. Of course, there will be some disruption to the park at first, but it will be short-term. 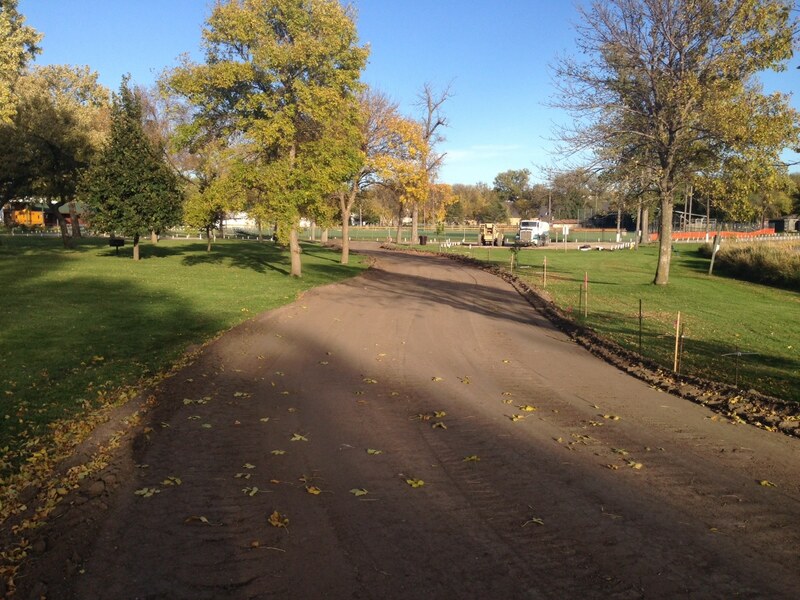 Some trees have to be removed as they are aged and dying; however, replacing these trees will revitalize the park. The cost of planting trees and grasses are included in the project budget. How was the route for the trails system decided? 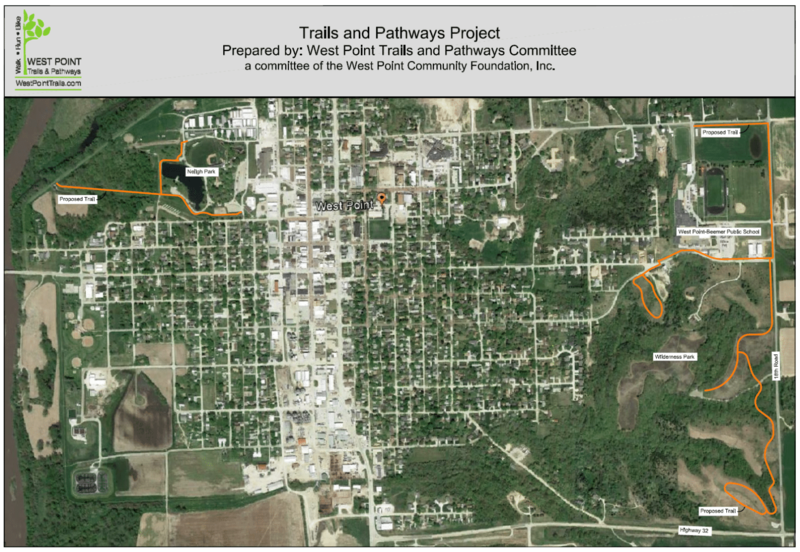 The West Point Trails and Pathways Committee formed a subcommittee of local citizens to determine the location of the trails. Input was also sought from the West Point Park Board, and the committee met several times to study, discuss, plan, and navigate the proposed route. Why is the trail system not a continuous loop? Are there loops within the trail? There are loops within the trail of varying difficulty. One continuous loop was not formed because it would require crossing private property and doing so is not cost effective. It is possible additional trails could be made throughout the city as a second phase to the project. Why have you chosen to pave the trials with concrete rather than crushed rock or another material? 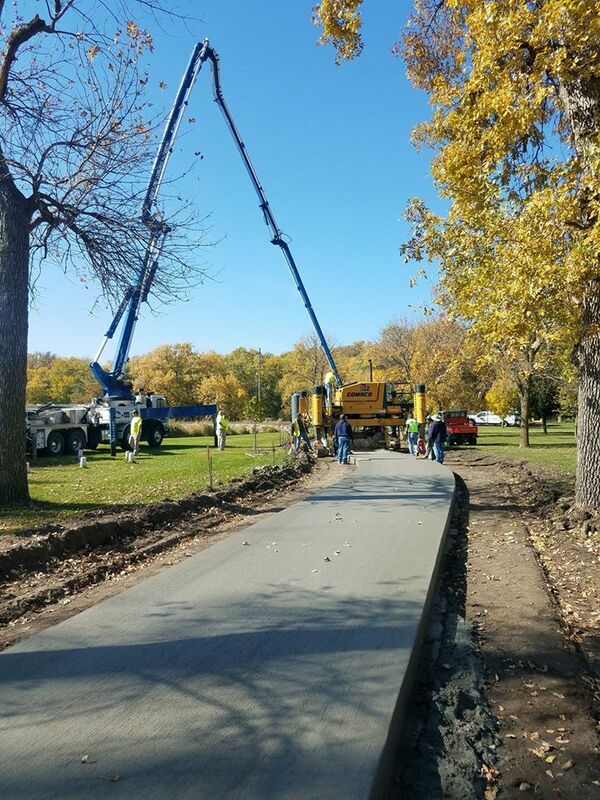 Concrete is not only a more long-term and easier to maintain option; its smooth surface will allow greater access for all individuals. Will the trails be accessible to motorized vehicles, ATVs, golf carts, scooters, or electric wheelchairs? The trails system will be accessible to electric wheelchairs but not other motorized vehicles. What will the signage look like, and who is going to provide it? Signage is included in the project budget. Signs will be posted with the names of certain loops on the trails system. The signs will also include distance and difficulty. Who is going to maintain the bike trail and remove snow? Will the City need to hire an additional employee? We are currently working with the City of West Point on these issues. 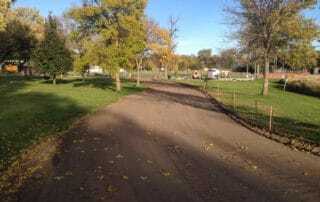 Once the project is completed, the trails will be owned by the City. 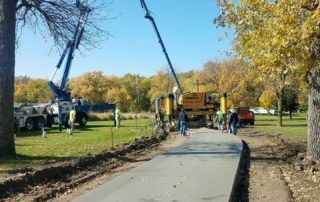 The city will be responsible for maintaining the trail which will involve some snow removal, trash pick-up, and mowing. The city already has employees tasked with mowing Wilderness Park, so there will not be much added work. Have you sought sales tax funds from the city to help finance this project? Not at this time. The committee has a fundraising plan and intends to seek grant funding and private donations. Sales tax funds will be sought if and when necessary. If I donate to this project, how will I be recognized? The West Point Trails and Pathways Committee has a number of ideas for recognizing our valued donors. The “First Fifteen” to donate over $10,000 will receive naming rights on a bench. The “First Five” to donate over $150,000 will get to name a loop within the trail. Once a recognition system is finalized, it will include different levels of recognition for different donation amounts and will then be publicized.